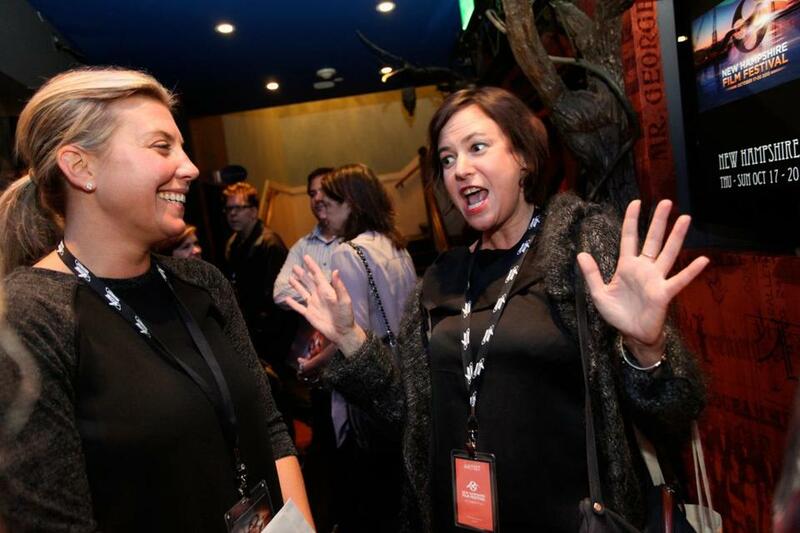 Lisa Muskat (right) with Nicole Gregg, executive director of the New Hampshire Film Festival. VIP guests at the New Hampshire Film Festival over the weekend included writer Joyce Maynard (whose New Hampshire novel became the Massachusetts-made film “Labor Day”), Haverhill native and “Dancing With the Stars” host Tom Bergeron, actress Rae Dawn Chong, and film producer Lisa Muskat , a Manchester, N.H., native. Muskat was there to pick up the 2013 Van McLeod Award for her contribution to cinema. Her credits include the David Gordon Green films “The Sitter,” “All the Real Girls,” and “Prince Avalanche,” which was screened on Thursday night.